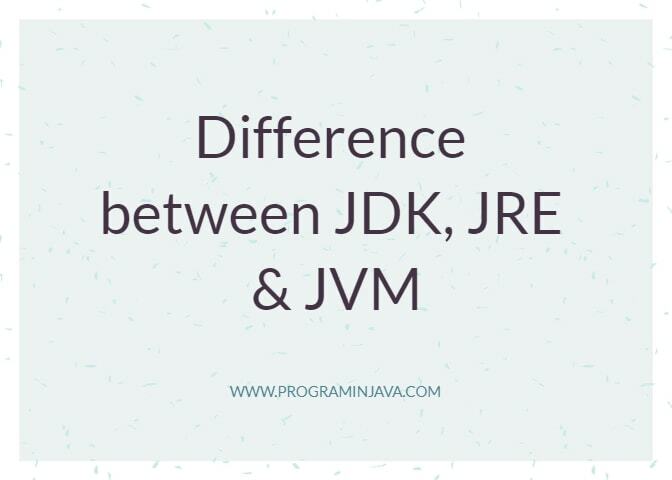 This is one of the very basic java interview question for specially junior java developer , as everyone heard about JDK JRE and JVM but some of the people don’t exactly know what are these actually. Today we will understand these three words and whats there meaning and how they are different from each other. JDK Stands for Java Developement Kit which is required by the Java Developer for Development of application . JDK consist of JRE along with some Utitlies like java compiler and other library files with it like interpreter , archiever (jars). JDK is basically provide the development environment to java developers. 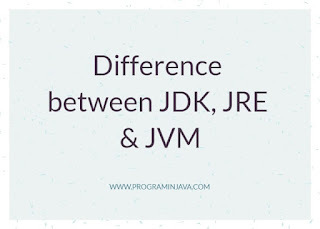 JVM is Java Virtual Machine , It is the heart of the java programming language. Its main responsibility is to convert the java byte code to machine specific code using native apis, It is platform dependent and it perform all the memory management , garbage collector work if JVM crashes the JAVA program will be stoped working. It is the heart of the java programming language , responsible to convert byte code to machine codes. There are so many other times as well to see but for the simple difference , mentioned above are the important differences. We have also heard about JIT( Just in time ) Compiler?